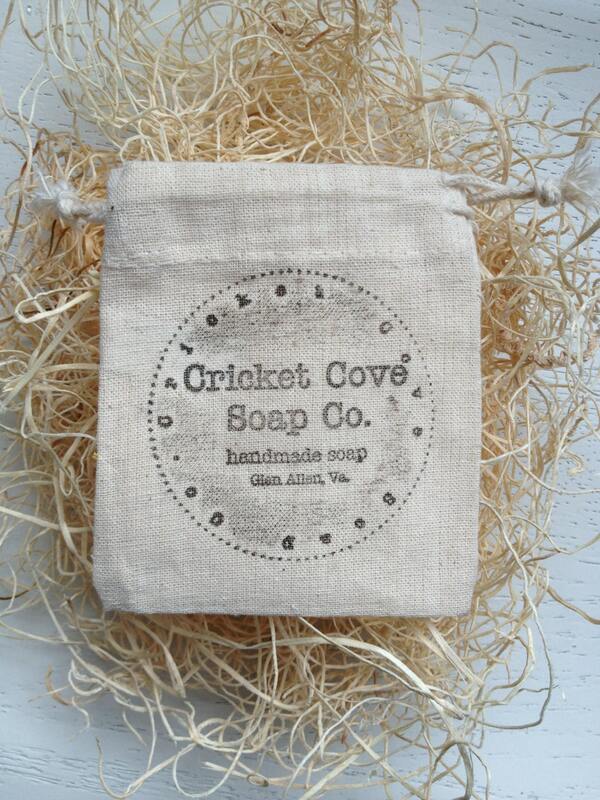 Your choice of 3 handmade Cricket Cove Soap Co. All Natural Lip Butters tucked away in a 100% cotton sack with cord drawstring, 3x4. Overall pretty good. Wish it was a bit more smooth, less "waxy." Flavor isn't overpowering, just right. 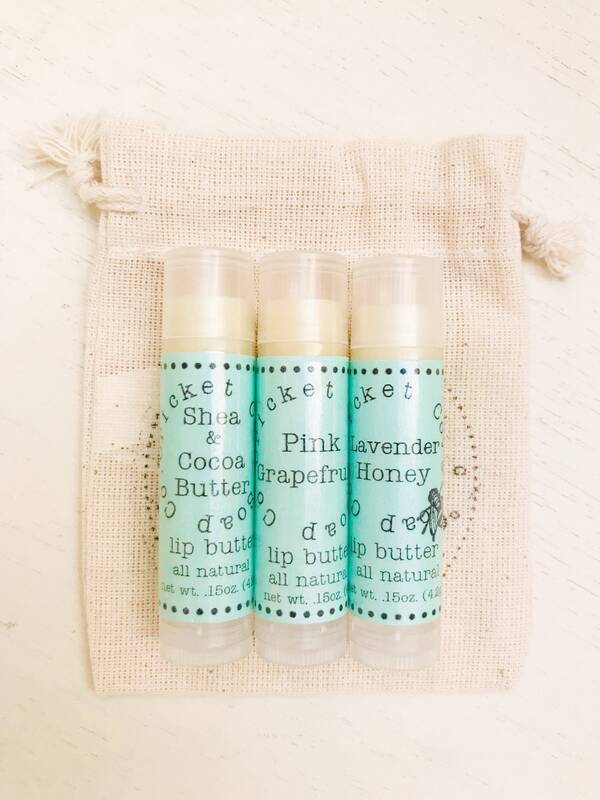 This is absolutely my favorite lip balm! Especially the lemongrass! Quick shipment. Lovely packaging. Wonderful product. So glad I tried this for myself and look forward to purchasing gifts for others in the future. Thank you! Love love love her products! 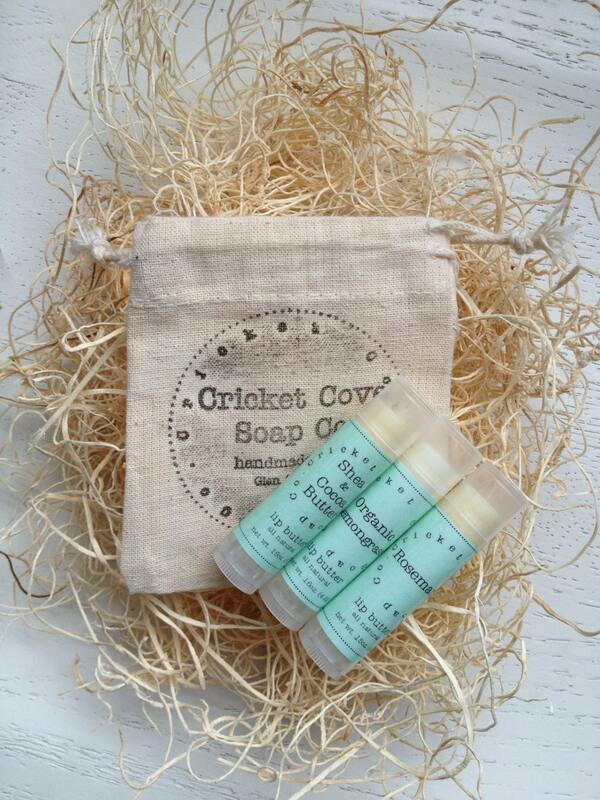 The lip butters and the soaps are wonderful. Repeat customer. 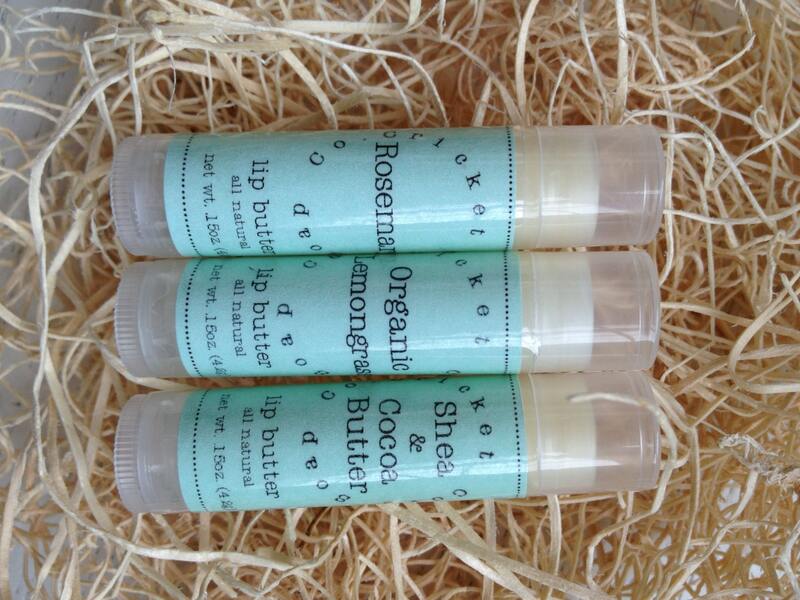 Love the peppermint and the cocoa lip butters the best!